When I was a kid, I tried to run away from home (all. the. time.). I don’t know why. My parents are awesome, my bed was warm, and we had waffles for breakfast every Thursday–I really had nothing to escape. Still, my major appetite for melodrama and imagination prompted a monthly attempt to pack up all my stuff up and sling it over my shoulder. Inspired by illustrations of adventurous storybook characters, I tried to throw everything I loved in the middle of a picnic blanket and to pull it together in a bundle. 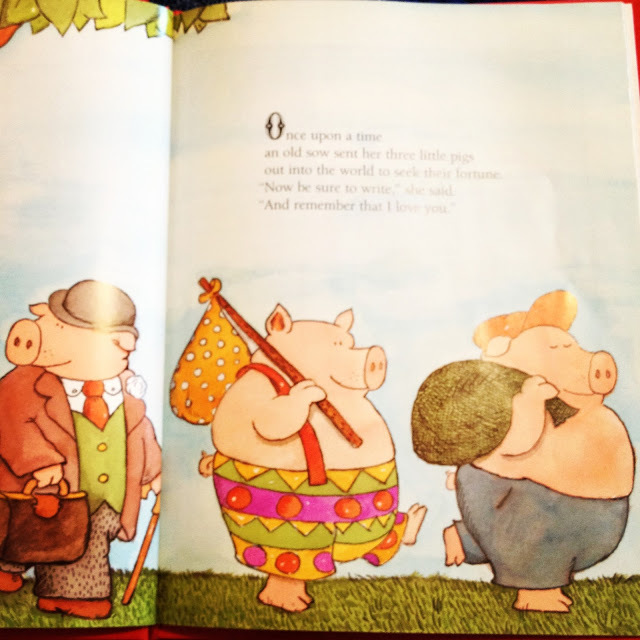 I brought a stick in from the yard, hoping to attach it to my pack and run away from home à la Three Little Pigs. I think you can imagine how that went. The laws of physics were not really in my favour. Don’t believe everything you see in books, kids. It’s been a decade or two since that happened, but the dream of throwing everything on my back and running away lives on. I guess that’s why I am so damn excited right now. I’m in an airport lounge. 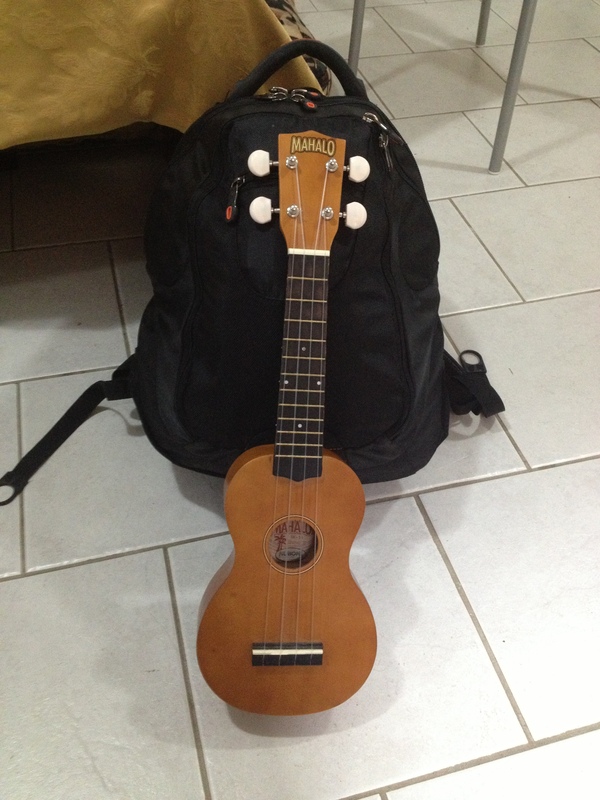 There is a small backpack at my feet and an instrument case by my side. Somehow, I have fit my life for the next month inside of a schoolbag. Awesome. So awesome. When I checked in, the oh-so smiley lady at the desk asked if I preferred a window or aisle seat. I made an awkward face and shrugged. “Psshftt, I don’t really care I guess?” She followed up by asking if I wanted to be at the front or back. Again, I had no idea. I just wanted to get on that plane. Which I will be. In twenty minutes, that is exactly what I will be doing. I think I heard oh-so smiley woman say “Okay, well I’ll just put you at the front, then,” but I really don’t know or care where I’ll be sitting. It took me a few tries, and I never did master the picnic blanket over the shoulder. But I’m (finally, finally) wearing my life on my back and getting the hell outta town. The packing process was a lot easier than I thought it would be: One pair of shorts, two pairs of jeans (I’m wearing one of them), one pair of track pants. Make sure all pants have pockets. Make sure all shirts won’t wrinkle as you roll and squeeze them in. Underwear. Socks. A piece of thin but sturdy material to act as a scarf/shawl/towel/blanket. Mini toothpaste. Mini toothbrush. And, most importantly, a little bit of room for a book and my writing machine at the back. I’m calling my new look “vagabond chic.” There’s already a coffee stain on my plain, pinkish shirt. My hair is up in a messy ponytail, overgrown bangs held back by cheap sunglasses. My sweater is wrapped around my waist, 90s style. I’m wearing no make up, unless lip balm counts, and an elastic band is replacing the bling I usually wear around my wrist. This morning’s caffeine fix may have made contact with my clothing, but it neglected the rings around my eyes–proof that I was up until 3 am cleaning and laundering and packing is all over my face. But according to the streaked mirror in the airport bathroom, I haven’t looked this pretty in days. I guess being so damn excited does that to you. And with that, I board. See you soon, Halifax! You GO, girl! I love to travel. Now that I have the kids, I get away for weekends now and then, usually for business trips at SF conventions. I hope you have a glorious time! Thank you so much! It’s already a blast. Definitely check back for updates!